Go all out on the mountain without getting waterlogged. Designed to fit like a favorite pair of jeans, the Oakley Sunking BZS Snowboard Pant has a clean, straight cut with plenty of room to move and layer. 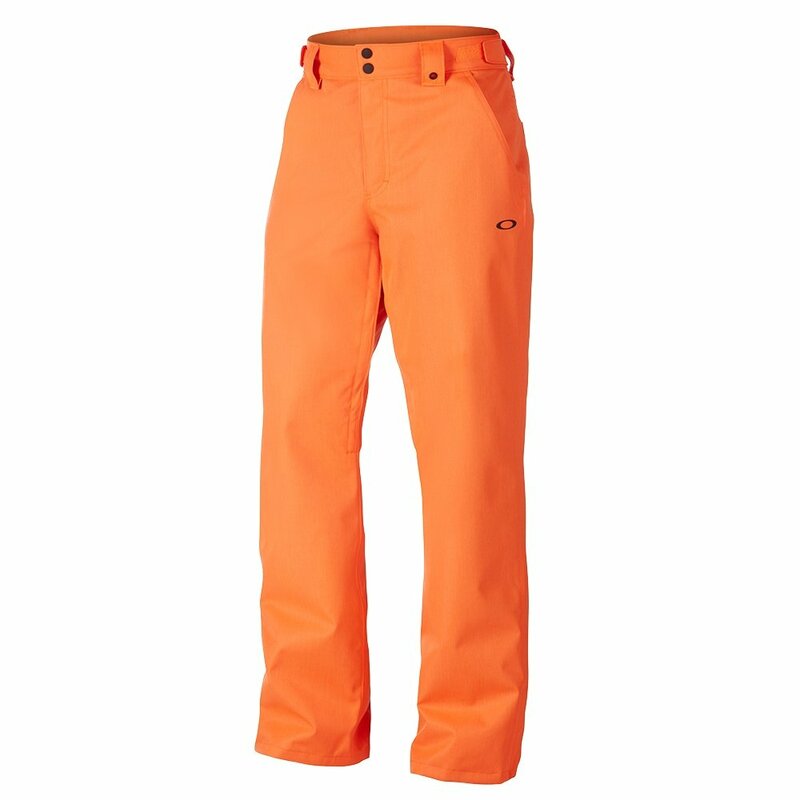 These lined snowboarding pants will keep you dry with FN Dry™ 10K waterproofing, taped seams, and hooked boot gaiters. With vents where you need them, reinforced cuffs and a secure, adjustable waist, these snowboard pants keep you comfortable from first tracks to the final run. FN Dry™ 10K waterproofing with taped seams keeps you dry. BioZone™ (60g/40g) insulation keeps you warm. Hooked boot gaiters keep snow out.